What are AC Fields - EMF? What is RF Microwave Radiation? 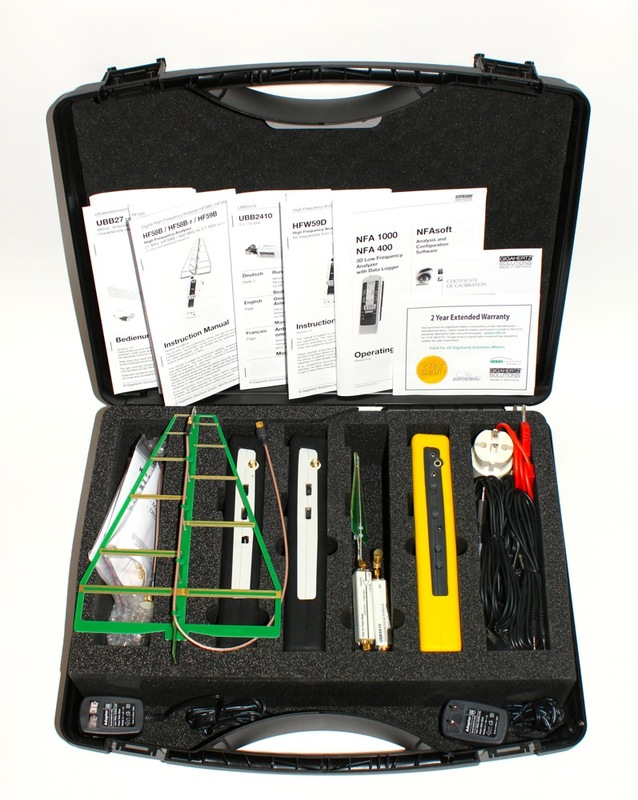 Contains the contents of the MK70-3D test kit, as well as the HFW59D Plus RF Meter for extended coverage in frequencies ranging from 2.4GHz - 10GHz as well as the PM1 and PM5s to aid in potential free electric field measurements with the NFA1000. 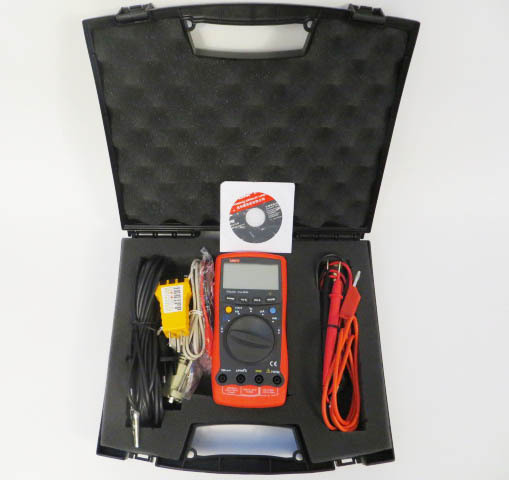 The MK70-3D Plus 1.0 Electrosmog Test Kit contains the Gigahertz Solutions NFA1000 3D EMF Meter / Data Logger, the HFE59B RF Meter Kit, the HFW59D Plus RF Meter Kit, and two accessories to aid in potential free electric field measurements with the NFA1000, the PM1 and PM5s. 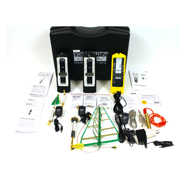 This kit is considered our professional EMF test kit as it contains our 3 top of the line EMR Meters which are both capable of being certified at accredited testing facilities. 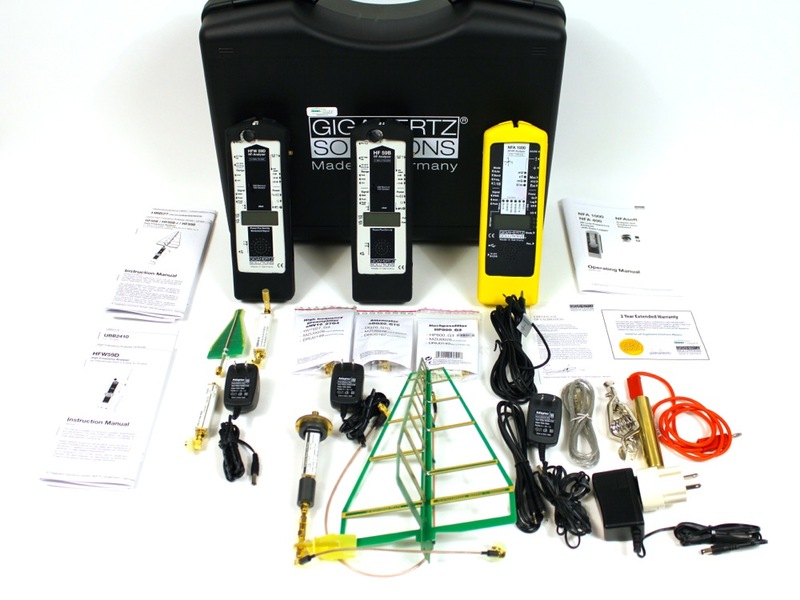 These meters offer the most advanced EMR testing features on the market! The NFA1000s’ data logging capabilities allows for long term analysis of EMF exposure data which can be analyzed at any point in time. The NFA1000 can also be interfaced to the HFE59B and HFW59D Plus to record long term Radio Frequency exposures as well. The NFA1000 includes NFA-Soft, which is a customizable EMF software module which allows for the manipulation RF and EMF data for reporting purposes. Manual for the HF59B RF Meter. An AC Current Clamp Leaker Meter is designed for measurement of AC Leakage Current from live wires. 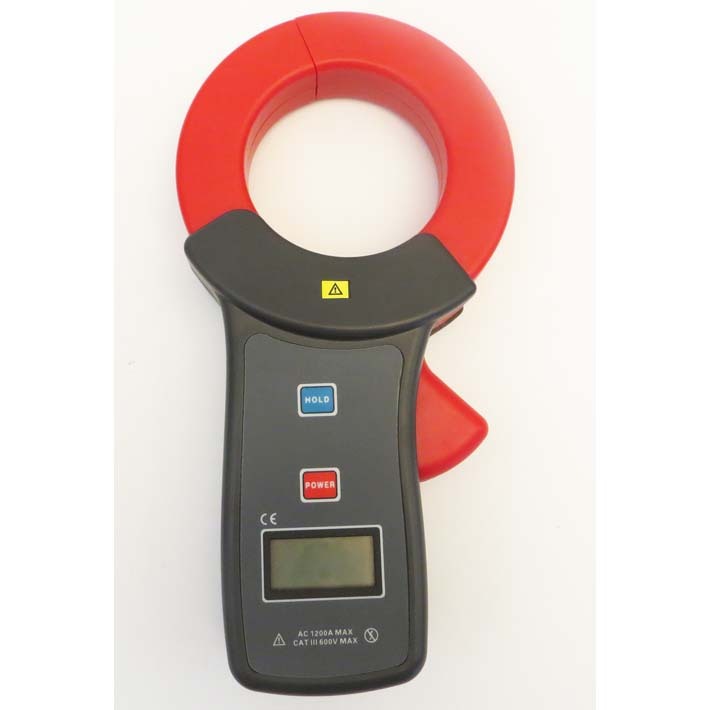 This is ideal for measuring Current located on your electrical grounding system (most commonly your water pipe) which can result in elevated magnetic fields throughout the home. Copyright © 2006-2018 Safe Living Technologies Inc.